Bits Technology offers enterprise-level telecommunication solutions at a cost you can truly afford. Whether your business is in the market for a VoIP system, more secure data and wireless systems or next generation cabling infrastructure, we provide an effective solution that will increase the overall efficiency of your business, as well as how it interacts and shares information. We are proud to announce that we have partnered with Digium to offer our clients the feature rich Switchvox telephone system for a fraction of the cost of traditional phone systems. Learn more about our new Switchvox product offering below. The combination of the Switchvox system and Digium phones provides a complete communications solution for small and mid-sized businesses. It’s more than a phone system—it’s a better way to communicate. This Unified Communications system integrates all of your office communications, including phone, fax, chat and web mashups. 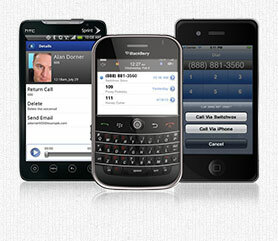 Customize your communications experience right down to the phone. Access call queues, your presence, and the applications you need, right on your desk phone. Do more than just talk—count on Switchvox to help you easily transition from simple telephony to a feature-rich UC solution. Now you can truly communicate the way you want to communicate. You can improve productivity by accessing all of your office communications tools no matter where you are—on a mobile phone or at the office. Talk about flexibility! 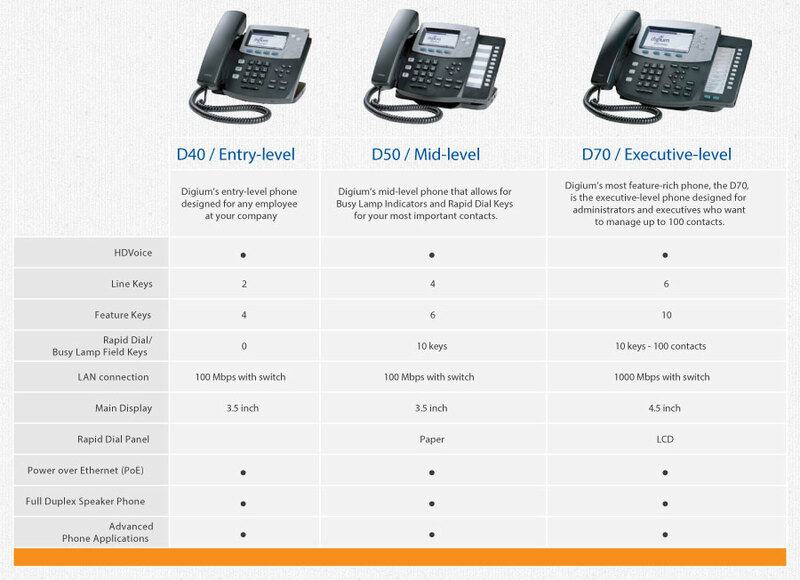 Digium’s VoIP solutions provide a competitive edge for small, mid-sized and large businesses. 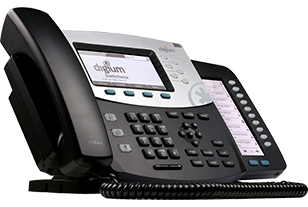 Digium’s product lines include Asterisk® custom communications, Switchvox® Unified Communications (UC), and a family of HD IP phones that deliver enterprise-class features at a price businesses can afford. 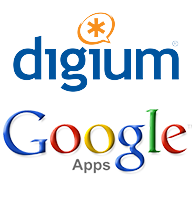 Digium® is the creator, primary developer and sponsor of Asterisk, the world’s most widely used open source communications software. 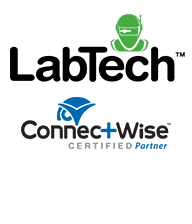 Asterisk turns an ordinary computer into a feature-rich voice communications server. 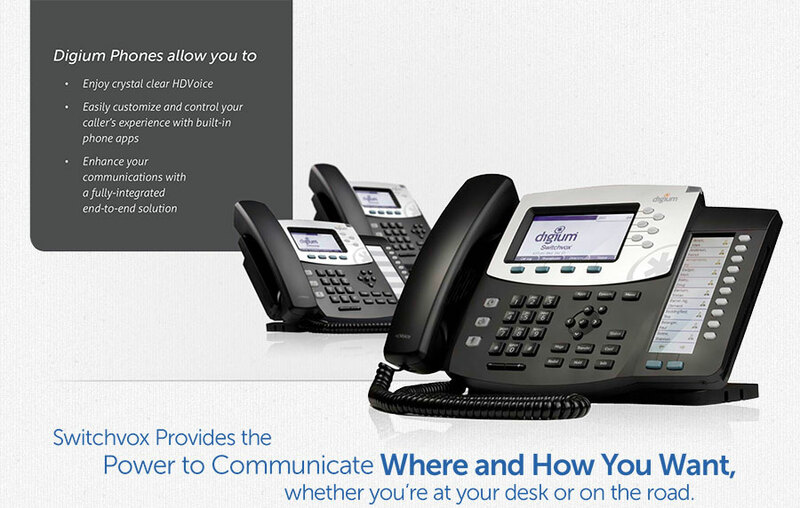 Switchvox is the award-winning, UC solution built on the power of Asterisk with thousands of installations worldwide. in telephony costs and service charges. fits your needs and your budget. from anywhere you have Internet access. instant messaging server and fax server. and save more money in the process. everything you need to know about your caller even before you pick up the phone. can click on an extension to initiate high-definition calls with the Digium phones. the call, allowing you to take your office on the road! The Switchboard is available for every user. 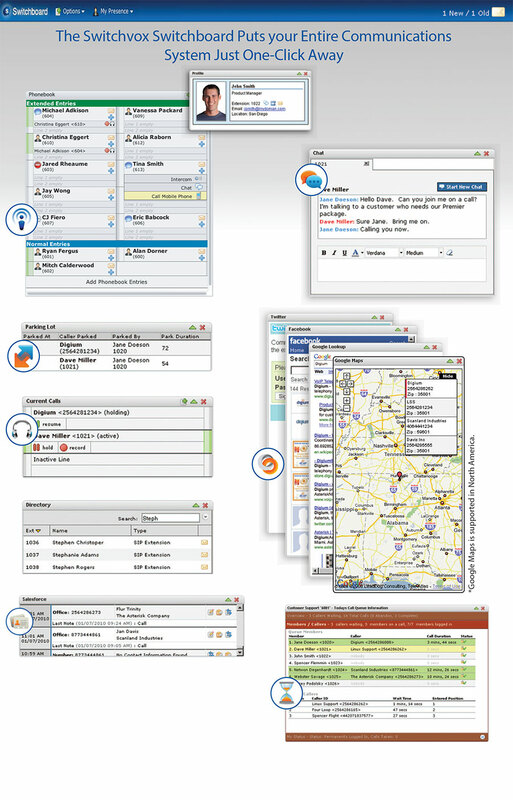 Drag-and-drop calls, chat, update your CRM system, and more, all with the unique capabilities of the Switchboard web-interface. Note, Switchvox panels are not limited to the Switchboard. Access key data right from your Digium phone—such as presence, queue details, and more. Switchvox provides all of these features and more in every system, without any additional licensing or cost! Improve employee communication with integrated chat. Communicate however your workflow demands, without using unsecured public chat servers for corporate communications. Traditional and VoIP CallsBy mixing VoIP with traditional calls, your business can optimize communications and save money without sacrificing features. Recording and MonitoringGreat for training and auditing calls, managers can easily monitor, whisper, barge and record calls from the Switchboard. You can also record calls directly from your Digium phone. Switchvox’s Switchboard has click-to-call, and drag-and-drop transfers, and other features that make it easier than ever to communicate intuitively. Easily mashup Switchvox with any web application to give your employees everything they might need for a call, before they answer it! Not just for the call center, Switchvox and Digium phones bring powerful call queuing functionality to even the smallest business that needs to efficiently handle inbound calls. 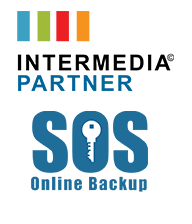 Switchvox is integrated with Salesforce.com and SugarCRM. Your sales and service organization will have customer information right at their fingertips when they get a phone call. What a productivity boost! With voicemail delivered to your inbox or mobile device, you can stay in communication, wherever you are. A built-in conference bridge allows all of your employees to manage their own conference rooms on-demand. and Android, you can easily access Switchvox from your phone. Collaborating over long distances has never been easier or less expensive since video phones are compatible with Switchvox. With Switchvox, fax is integrated. Meaning, one number can be used for your faxes and your calls. Faxes are delivered directly to your inbox! Switchvox’s XML-based Extend API makes it easy for a web application developer to integrate Switchvox with any web tool, without any Switchvox-specific training. The extensive built-in IVR allows you to automatically provide information as well as collect information to the caller, and get the caller where they need to when they first call your office. Silver, Gold and Platinum subscription plans are available for each of these systems, so you can choose the coverage that is right for your business. Simply plug these phones in, automatically discover your Switchvox server, select the user, and start talking. It is that simple. 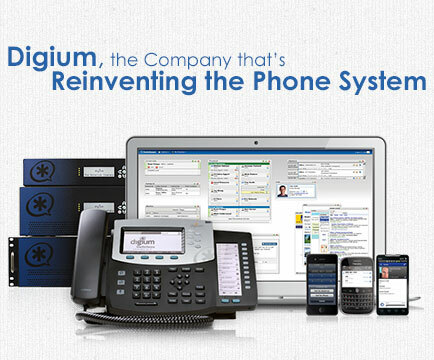 Digium is recognized as the Best Value in UC Phone Systems. We’re changing the way the world communications. Again. 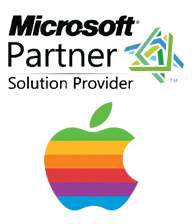 products are sold through a worldwide network of reseller partners.